Parenting is gross. You learned that the day that your baby was born, and it hasn’t slowed down since then. Luckily, once you get past this epic milestone of potty training, you don’t have to do the dirty diaper thing anymore! So sure… the process of potty training isn’t always a pleasant one; but it certainly doesn’t have to be miserable. With these tips and tools, we’ll help you get to the other (diaper-free) side of this milestone without frustration. Download the free Potty Training Parent Pack below! 12 simple & gentle strategies that Shari used to potty train her own kids. Methods that Karissa used to potty train each of her children in only a few days. 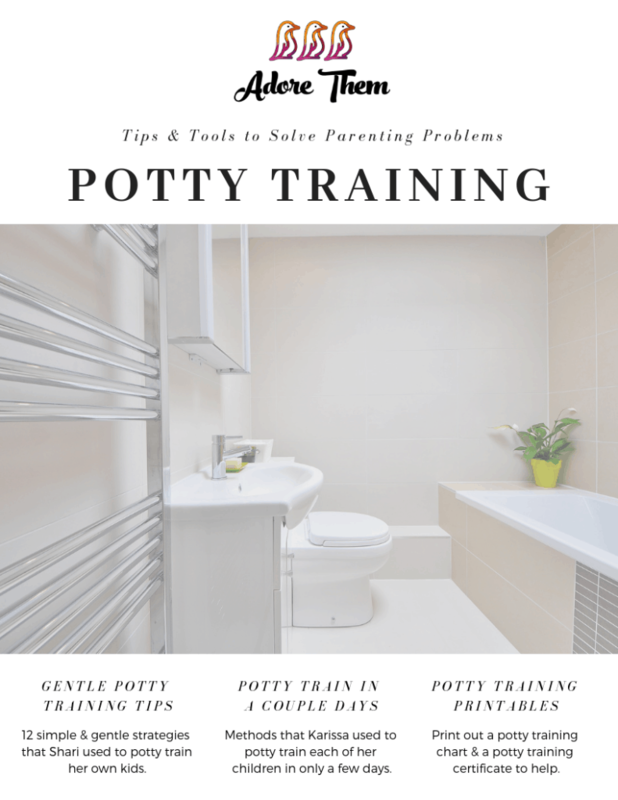 Print out a potty training chart & a potty training certificate to help the process. Submit your email to receive instant access to this FREE resource!